The world today is witnessing large scale increase in violence. Violence and extremism are now being used as a form of communication for communicating anger, anguish and frustration. Children and women are becoming the worst sufferers of such acts of violence. Internet and social media has added a new dimension to the whole problem. It is not only affecting the well-being of the present generation but also our future generations. Education can play a constructive part to promote critical thinking and demystify illogical radical extremist thoughts. A process needs to be adopted that gives an opportunity to young minds to talk, discuss and take actions to shun violence, occurring in their respective spheres. Sustainable Development Goals talk about achieving peace, gender equity, and human rights through education. The Education system as a whole needs to respond by developing pedagogy to deal with violence. 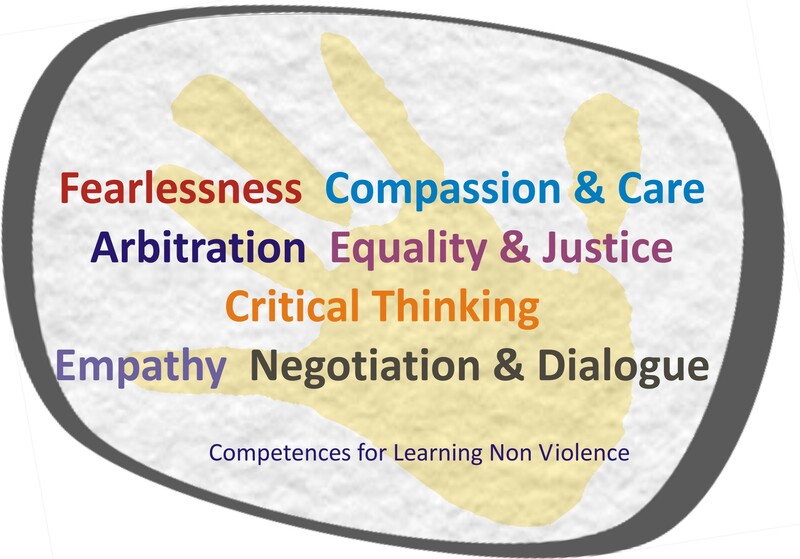 The Sabarmati Ashram Preservation and Memorial Trust (SAPMT) and the Centre for Environment Education (CEE), in collaboration launched a three-year Learning Non Violence (LNV) programme on 2nd October 2016. 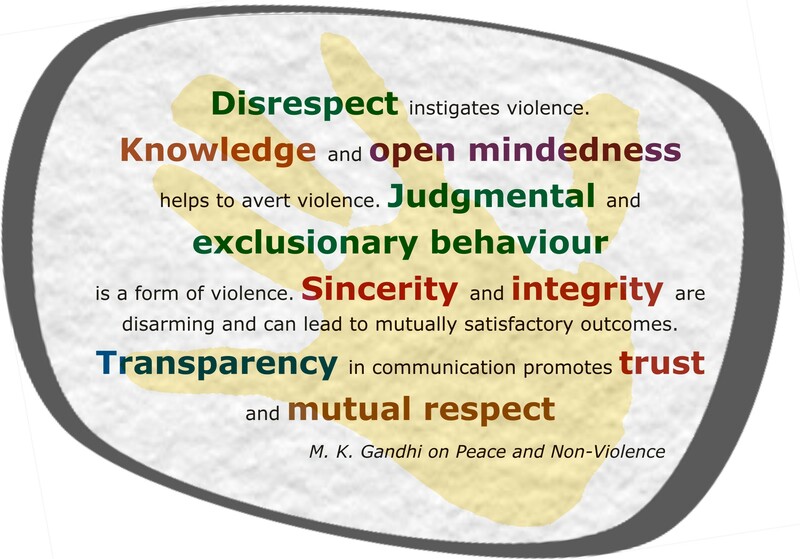 The three year programme looks forward to create partnerships around the world in order to design, test and implement pedagogy to develop critical competencies for non violence behaviours based on Gandhian thoughts and launch it on the occasion of 150th birth anniversary of Mahatma Gandhi on 2nd October 2019. The pilot called the 'Ahmedabad Experiment' was implemented in the academic year 2016-17 with selected schools. The participating schools shared their interest in being a part of the action research, as they felt the need for discussions on conflict and violence, their underlying causes, processes for development of nonviolence competencies. Given the success of the first phase of this project, we are now launching the second phase of pilot. As part of the second phase, interested teachers will be as co-researchers on this programme. The team of teachers will work with CEE to test the developed activities (an activity book with 25 activities was developed by CEE) try them with students and give critical feed back to improve them through fortnightly or monthly meetings. The programme is being offered in Gujarati and English. Address the vicious trajectories of violence through education. Facilitate children and youth discussions on violence in its various forms and spaces, share ideas and experiences. Foster skills to promote Peace and Global Citizenship values.